In the past, it was standard for doctors to ask patients to stick their tongues out for examination. Over the years, the prevalence of this practice has faded with the emergence of new technological diagnostic equipment. 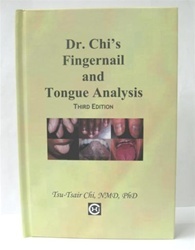 What people don't realize is that the tongue as well as the fingernails provide an important insight into our health conditions. This book aims to educate individuals on how to effectively use physical signs such as teeth marks and lunulae (moons on the fingernails) in determining the status of our health. You will be amazed at how accurate these physical signs are!